In their 1858 Greensward Plan, Frederick Law Olmsted and Calvert Vaux called the architectural heart of the Park “The Water Terrace,” for its placement beside the Lake and the grand fountain in the center. 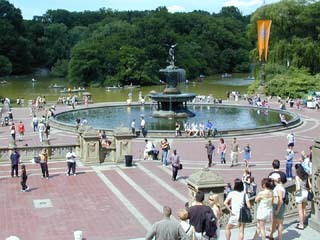 Once the Angel of the Waters fountain was unveiled in 1873, however, the area became forever known as Bethesda Terrace. 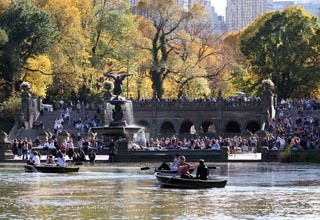 At the dedication, the artist’s brochure quoted the Biblical verse from the Gospel of St. John 5:2-4: “Now there is at Jerusalem by the sheep market a pool, which is called Bethesda whoever then first after the troubling of the waters stepped in was made whole of whatsoever disease he had.” The artist likened the healing powers of the angel to that of the clean and pure Croton water, delicately cascading down the fountain, that brought health to the people of New York City. The lily in her hand represents purity while the four figures below represent Peace, Health, Purity, and Temperance. Bethesda Terrace and The Gates. 21 February 2005. 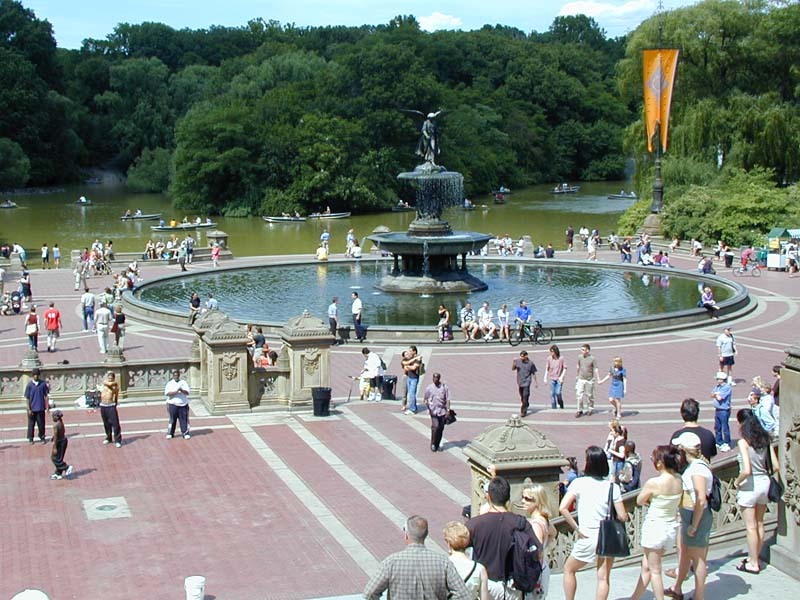 Bethesda Terrace – 31 October 2004. 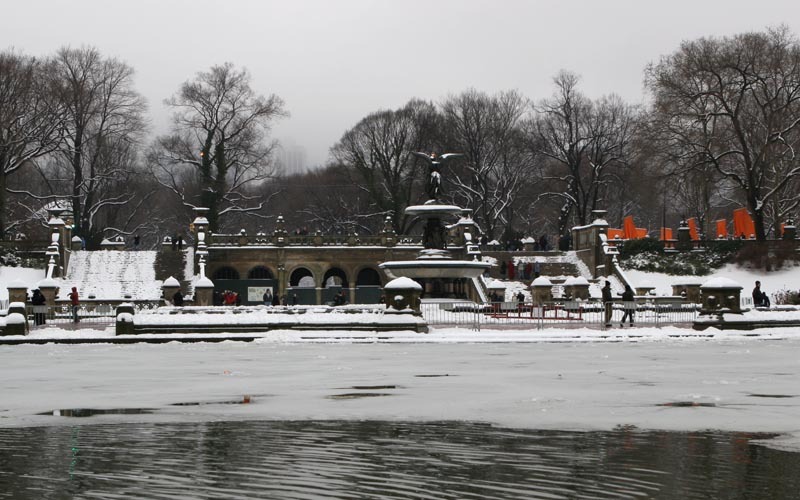 Angel of the Waters Fountain at Bethesda Terrace in Central Park. 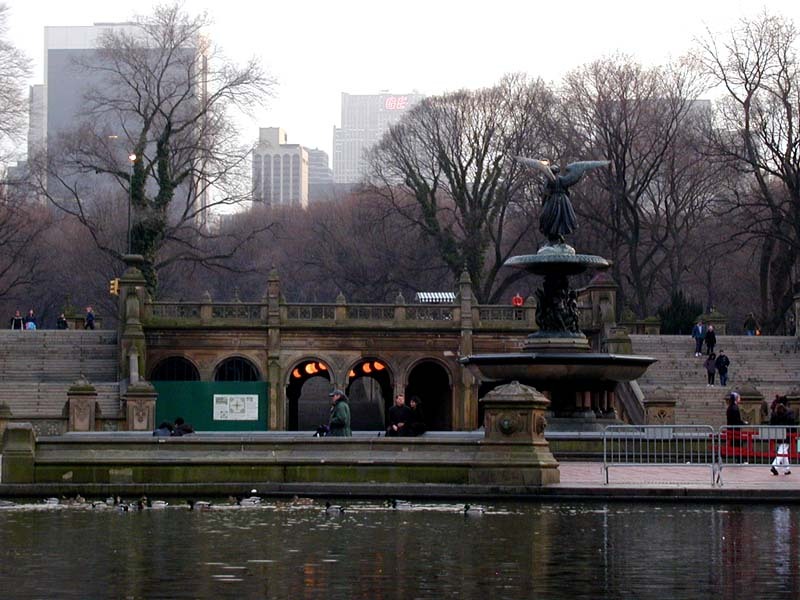 Bethesda Terrace at dusk. February 2002.